We know that buying new tyres for your vehicle can be a tricky and confusing task. There is so much information flying around, how do you know what bit is relevant to you? How do you know what tyre will fit your vehicle? We decided to make things a bit easier and created this helpful guide with everything you need to know about tyres. 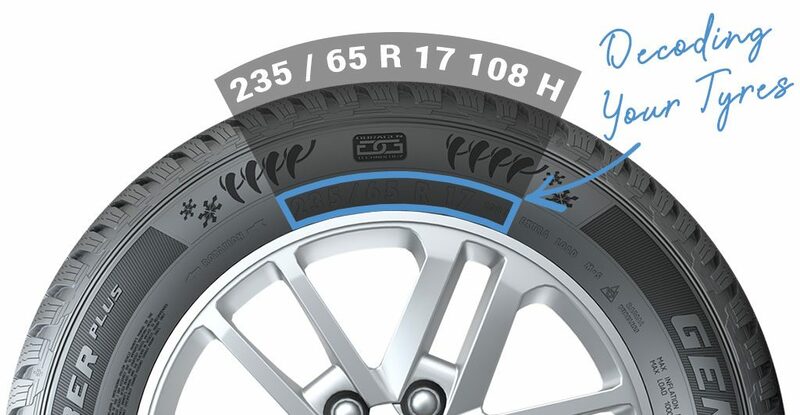 The side of your tyre holds a lot of the information that you will need when buying a new tyre. There are 5 things located on your tyre; width, profile, rim, load rating and speed rating. These things are key in understanding your tyre. Width – This one is an easy one and stands for the width of your tyre in mm. Profile – The profile of the tyre is the height of the sidewall as a percentage of the width. Rim – This is the diameter of the tyres inner rim and is measured in inches. If the rim of your tyre is 17 inches then this means that you can buy 17-inch wheels as well. Load Rating – The load rating lets you know what weight the tyre is capable of carrying in kgs. Speed Rating – Speed rating is always represented by a letter, once you know this you can work out the maximum speed your tyre will do in mph. The load rating and speed rating are a little trickier to understand as these values are not initially obvious. To find these out you need to look at a tyre speed rating table and a load rating table. Luckily for you we have both of these on our website. In the case of the General Snow Grabber Plus tyre that we are using here, as an example, you will see that the load rating is 108 and that the speed rating is H. This means that our tyre can carry a weight of 1000kg and has a maximum speed of 130mph. Once you have understood what the information on the side of your tyre means the next thing to understand is the EU tyre label. There are 3 factors to this label; fuel efficiency, wet grip and external rolling noise. Hopefully this guide has helped to clear things up a little bit. 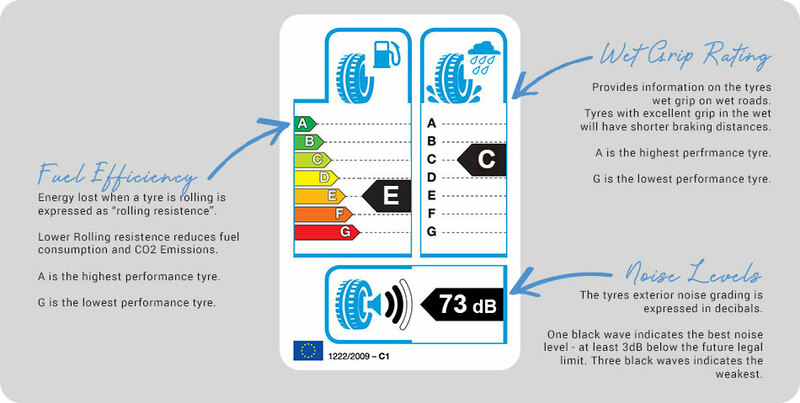 If you want to know more about EU tyre Label or to find out more information about your tyres, visit our website for all the latest information. For help finding the right tyres for your vehicle please call us on 01677 428799 or email us at sales@4x4at.com and one of our sales executives will be on hand to help.